More and more families are choosing to eat healthier. More are choosing prepared foods or dining at home, instead of dining out. Retailers have embraced this shift and have sought a better way to deliver the fresh products people demand with simplicity. It seems like scale technology has been suspended in time… but that’s about to change. Retail’s first unified scale solution has arrived. Designed around the simple concept of a friction-free transaction experience, the AutoScale 100 is a leap forward into the future of retail. 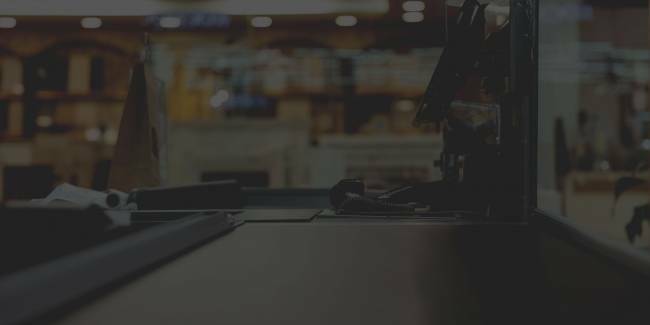 Embracing the efficiency of enterprise automation, it works seamlessly with every other transaction touchpoint in your store. AutoScale 100 is not “connected” to the point of sale. AutoScale 100 is the point of sale. It’s another transactional touchpoint in CATAPULT. When information is updated in CATAPULT, it is automatically reflected on AutoScale 100. 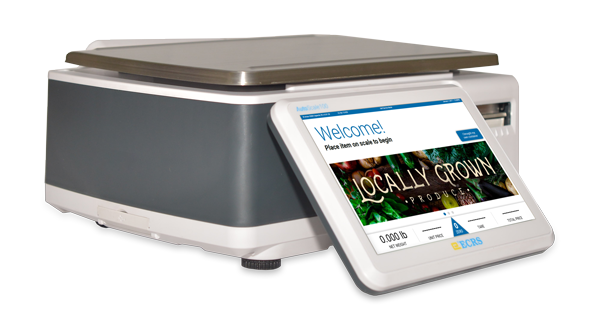 AutoScale 100 can be configured to work wherever your store needs it, whether at the deli counter or as a self-service terminal in the bulk foods section. It can be configured for operations to be carried out by either staff or by customers.  AutoScale 100 works with CATAPULT® WebOffice, right out of the box. As with your other touchpoints, Transaction Server is the engine that drives AutoScale 100. It is easily managed through WebOffice. Say sayonara to middleware. Can be operated by customers (self-service mode) or staff (attended mode). Covered under the ECRS Services and Upgrade agreement. Bidirectional data replication between HQ and the stores. The National Conference on Weights and Measures brings the right people together to keep pace with innovative advancements in the marketplace. 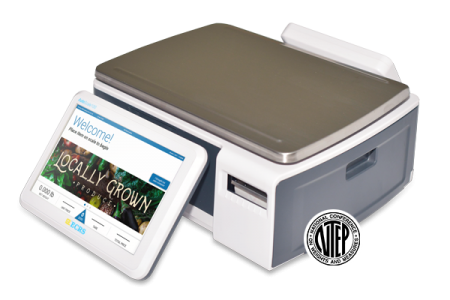 With the NTEP (National Type Evaluation Program) Certification, the AutoScale 100 continues to redefine scale technology and push forward into the future of retail. With AutoScale 100, simplicity comes naturally. 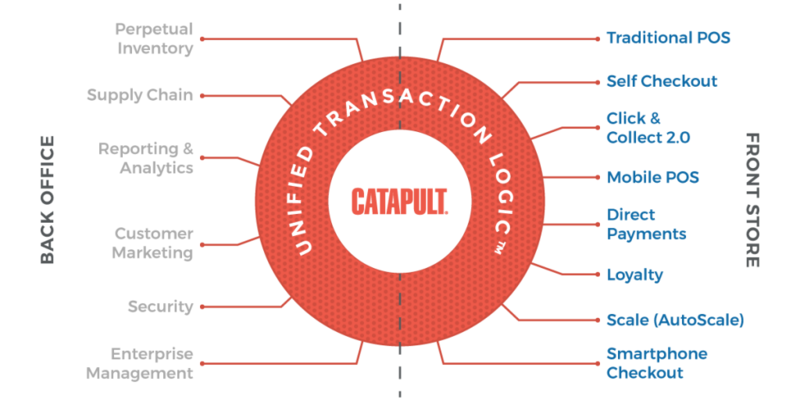 The plug-and-play nature of CATAPULT means that the AutoScale 100 IS the point of sale. 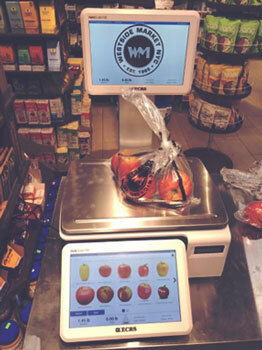 As soon as it’s activated, all pricing and label information in your POS automatically extends to your scale. No more waiting for batch files. No more waiting for two systems to synchronize. No more headaches for your customers. Retailers can rest assured their stores have up-to-date information at every touchpoint. 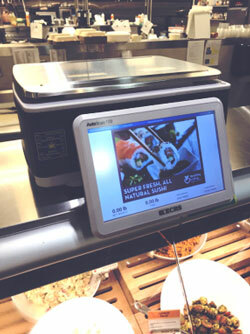 When you upgrade to the future of retail scale technology, it works seamlessly as a point of sale. 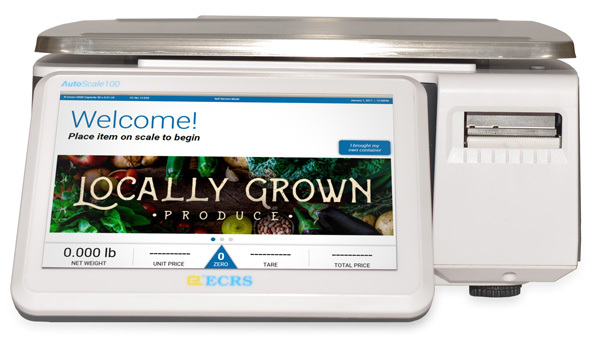 The ECRS AutoScale 100 works quite well in our high-volume deli department. The POS screen and item group configurations are a leap forward. Since it works as a CATAPULT terminal, we have eliminated the need for ePLUM and item updates are now in real time. We will be using the AutoScale 100 in all of our locations! The AutoScale 100 is versatile and can be used in an extensive number of store applications, on the sales floor, or behind counters. Whether the AutoScale 100 is being operated by store associates or shoppers, it will provide a smooth, streamlined solution that’s fast and accurate, every time. Store staff can use the AutoScale 100 to execute tasks behind your deli counter, in your cafe, or in the prepared foods departments. Your customers can use the AutoScale 100 to weigh and purchase meals or bulk food items. AutoScale isn’t just a CATAPULT building block, it’s changing the way retailers use scale technology. Contact us today to request more information on AutoScale 100 and prepare yourself to slay the retail giants. Boone, NC: Unified Transaction Logic Discovery Place is this year’s booth (#1453) theme for ECRS.